Everyone’s an artist of some kind or another. When I think of functional art, technology or glassblowing comes to mind. There’s an entire world of quirky art, and edible art is one of my favorites. Chocolate bars, truffles, strips and rolls are fun to eat, but who doesn’t want to justify playing with their food? Gingerbread houses have the right direction, but lack ingenuity. An edible house and resident make a great decoration, attraction and dessert. What would happen if someone stepped it up a few notches? I can already imagine the competitions. It would literally fit on (almost) any channel. 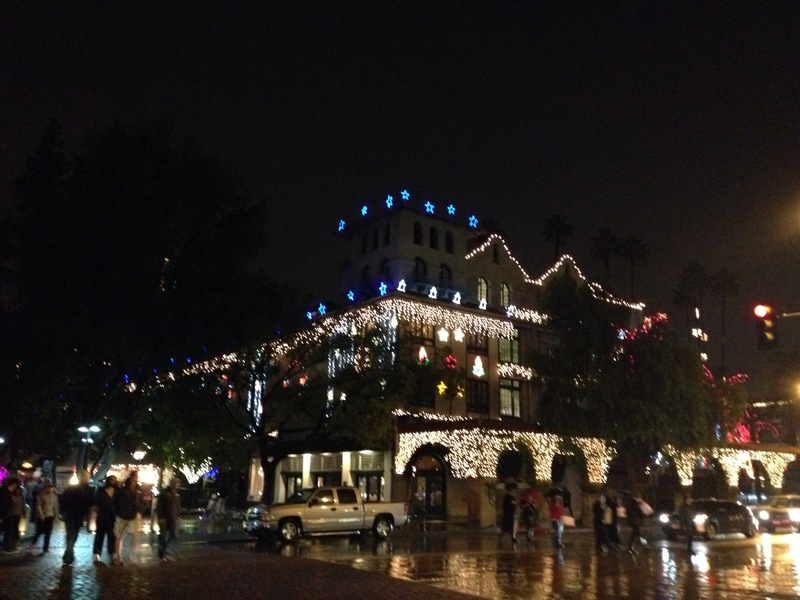 At the Mission Inn and downtown area, the Festival of Lights is worth seeing. There’s plenty to do. Some great cuisine, vendor snacks and beverages, cafés, shops and entertainment is provided as soon as the sky is dark. 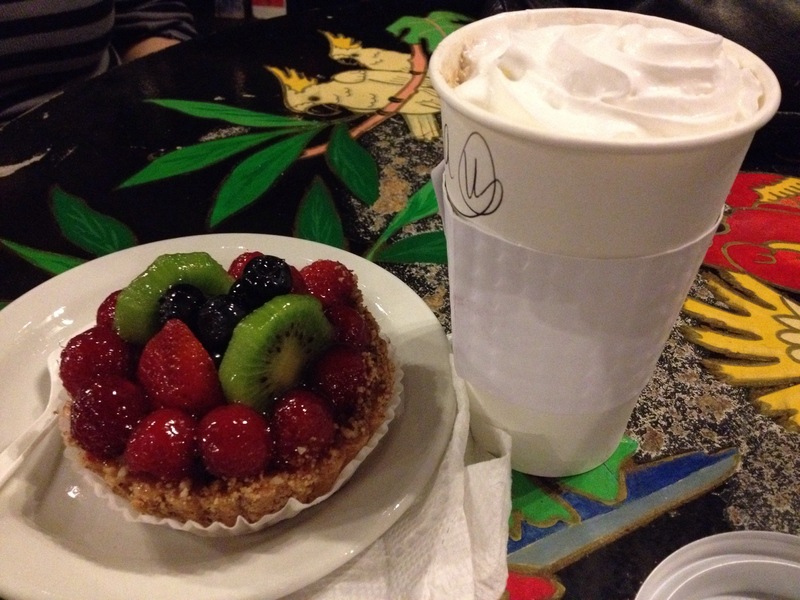 Even after hours, I enjoyed a chocolate mocha and fruit tart at a fascinating coffee shop. I go to the Festival annually, as it occurs every year after thanksgiving until Christmas. The beautiful decor is enough to visit for. It has a consistency that is matched by few. 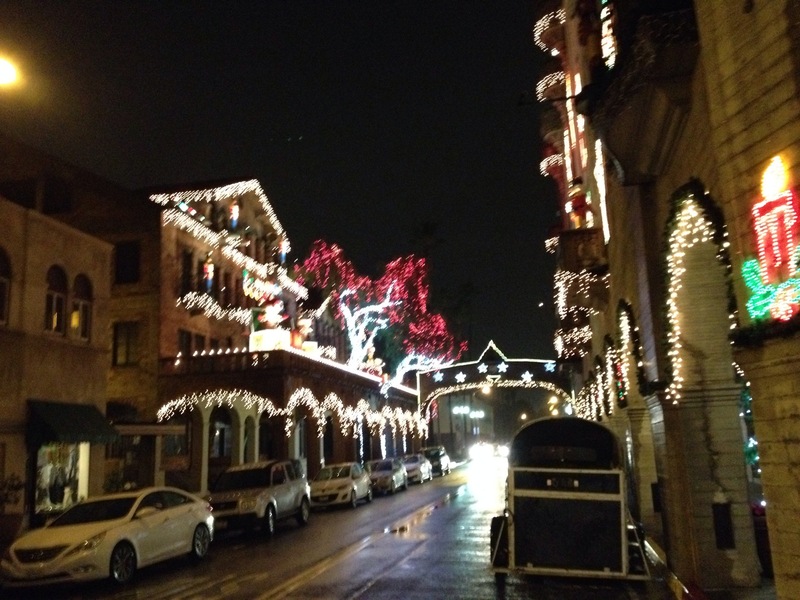 The romance aspect of the lights is another major reason people young and old come in even numbers. Even if you’re alone, there’s plenty to distract and enjoy. 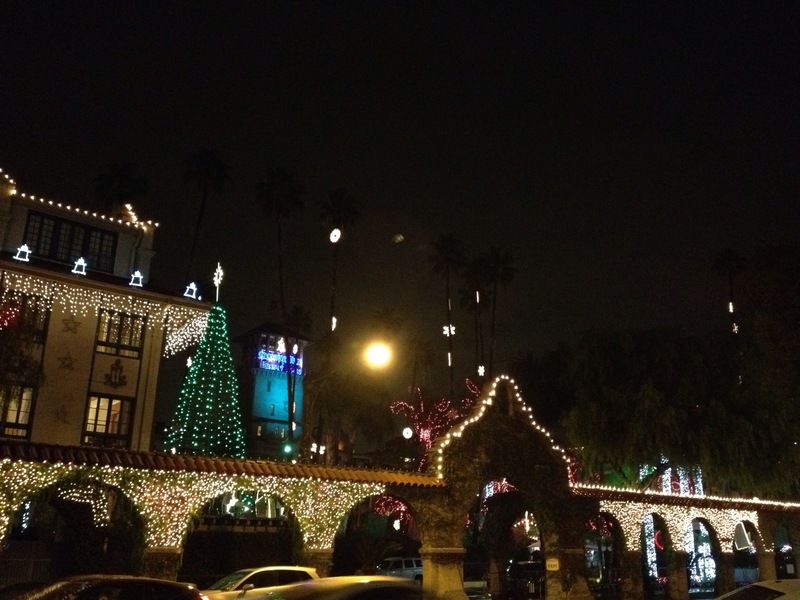 The Mission Inn is historically vital to Riverside and maintains a wonderful hotel, night scene and several restaurants. The downtown Riverside shops stay open year round, but vendors are seasonal. The weather in Riverside is typically between 55F and 80F in the winter from my experience. Plan accordingly. Take your best gal or guy and see some Riverside beauty. Thanksgiving originates from a group of colonists who wiped out an entire land of people in an invasion. The natives had little to no defense from the weaponry brought overseas. People began celebrating the success of the invasion calling it Thanksgiving. Pilgrims were terrible people. They supported this genocide and recorded documents relieving themselves of any responsibility, as though the natives were to blame. The original North American peoples were peaceful tribal groups who were exterminated, but not before being tortured, raped, experimented on and forced into slavery. Let us not forget the truth when cutting into that turkey that has no unique meaning to this holiday. The turkey is only “tradition” thanks to the food industry’s propaganda. From here on, let us try giving thanks every day instead of just once annually. Today, we should apologize to the Native Americans who died so we could go shopping on Black Friday. Augie’s Coffee House does not disappoint. The decor, style and atmosphere only speak comfort and peace. I had heard of Augie’s many times, but only recently decided to try it for a first and second time. The first time I had ordered, it was late and there were plenty of seats available, though it wasn’t nearly empty. My first impression was a bit stereotypical. I expected a hipster’s paradise, but this coffee house doesn’t make you feel excluded at all. The interior is very small, but I like quaint, cozy businesses like Augie’s. For some reason, I was compelled to try their hot cocoa. I will never regret that decision. It has raised my standards for beverages. That beverage was crafted ever so carefully. It tasted like I was drinking a delicious sweet dark chocolate bar. It was the perfect texture, taste and temperature from the moment it was received. The second time I didn’t even have to pay (because they give everyone a free drink if you’re a first timer) so I decided to try the cocoa again. This time, there was a flower of whipped cream along the entire rim and center of the cup. Next time I go back, I’ll take a picture, then come back and edit this post so you can see it. I was amazed and overwhelmed by the abundance of whipped cream and the artistic style of it as well. I don’t see how someone could ever dislike the hot cocoa. Both visits were of consistent quality and there were different employees the second time. It was also during the early afternoon, so no seats were available as this is a “happening” spot for white people. If you’re ever in Redlands, and you’re in the downtown area, or you’re at the Redlands Market Night (Thursday evenings) then don’t pass up Augie’s Coffee Shop. Next time, I’ll tempt myself to try something new, but that hot chocolate is definitely worth returning to. I believe it was about tree fiddy.